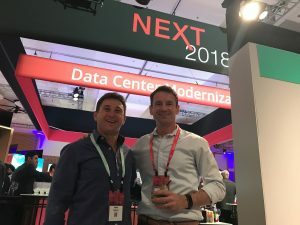 2018, Hitachi Vantara annual user conference held in San Diego, California, September 2018, yet again, reaffirmed its data-driven commitment to helping customers and partners maximize the value of their data through all four main solution areas: infrastructure, IoT, cloud, and big data and analytics. Seen at the invitation-only Hitachi Executive Partner Summit was Abie Gelbart, Technical Director of Perfekt Pty Ltd with Nathan McGregor VP Hitachi Australia and New Zealand. “This unique, executive event really focused on how, together with our partner Hitachi, Perfekt can drive bigger conversations with our customers, and provide them with more innovative and technology rich solutions” said Abie Gelbart.